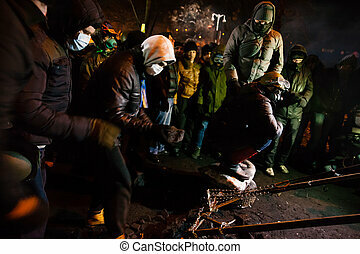 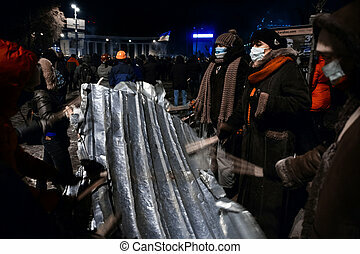 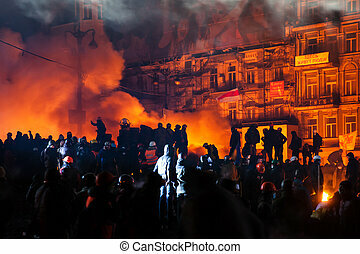 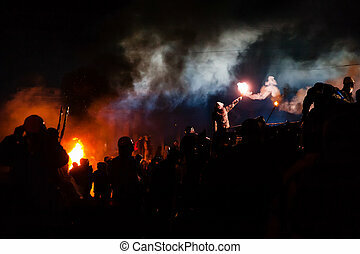 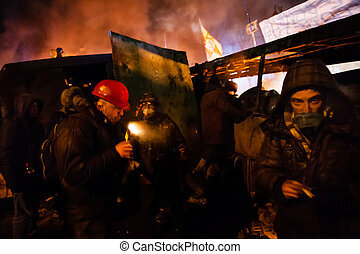 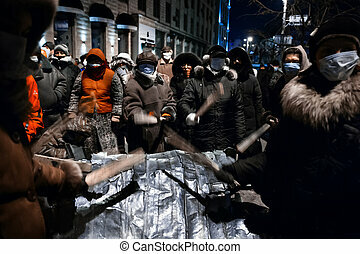 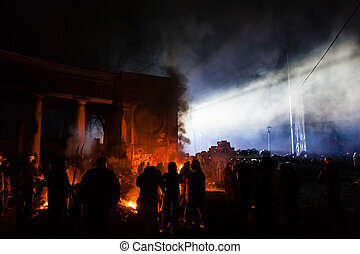 KIEV, UKRAINE - January 24, 2014: Mass anti-government protests in the center of the Ukrainian capital Kiev. 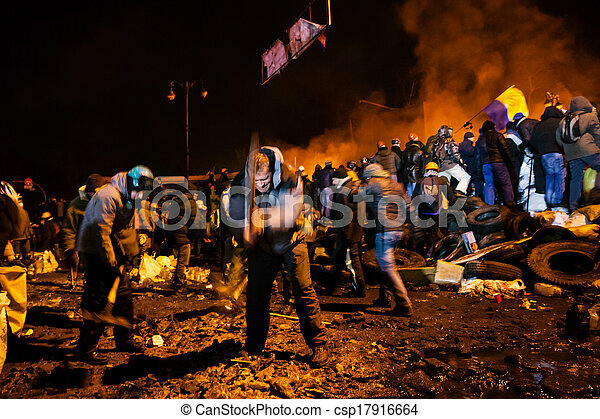 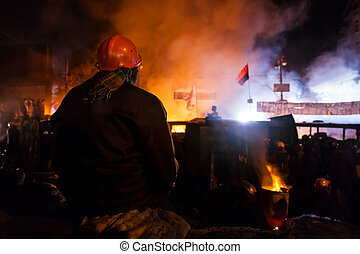 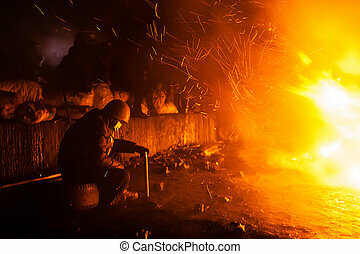 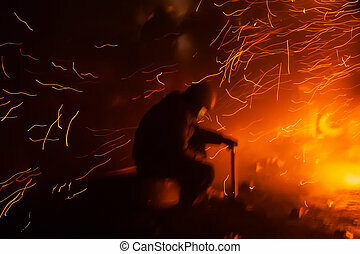 Member of the Popular Resistance basking near the fire on Hrushevskoho St.
KIEV, UKRAINE - January 24, 2014: Mass anti-government protests in the center of the Ukrainian capital Kiev. 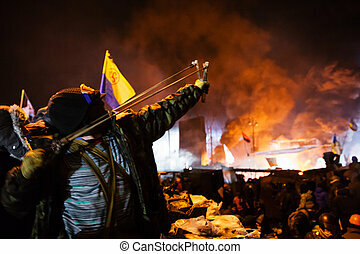 Warrior of popular resistance shoots a slingshot towards government troops on Hrushevskoho St.